Chris O’Donnell’s versatile career makes him an ideal addition to TSCTA’s technical instructor team. Chris started his career in construction before joining the U.S. Naval Reserves. From there he ventured onto a 14-year tenure with the NYPD followed by a short period as a member of the FDNY. 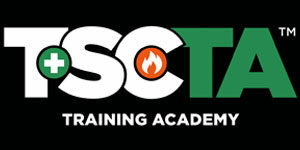 In 2010 he joined TSC as a fireguard and, after completing his OSHA 500 training in early 2015, began instructing OSHA, DOB scaffold and Construction Site Fire Safety Manager training courses on a part-time basis for TSCTA. Outside of his multifaceted career pursuits Chris is a dedicated family man who is passionate about his favorite NY sports team, the Rangers.